My fictional floor plan for Marshall Eriksen and Lily Aldrin's quaint apartment in Dowisetrepla features two bedrooms, one bath, kitchen and living room with built-in seating. On the coffee table is the board game "Diseases." Also, in the living room you'll find the location of Slapsgiving. In their bedroom is a closet full of Lily's designer clothes and next to it is her box of maxed out credit cards used to purchase the designer duds. 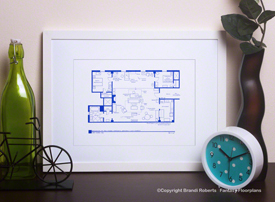 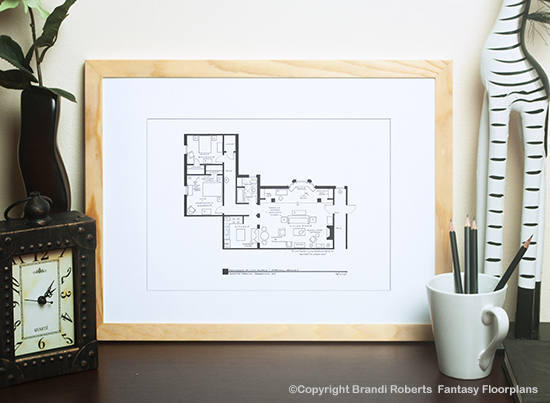 Add Marshall Eriksen and Lily Aldrin's apartment floor plan to my fictional How I Met Your Mother floor plans for Ted, Robin and Barney's apartments. Also available is my set of all four apartments including Ted, Lily and Marshall, Robin and Barney.